Michel de Nôtre-Dame, popularly known just as “Nostradamus” was an ordinary man who lived in France. He was a physician and astrologer who lived during the sixteenth century. Nostradamus would stare into a bowl filled with water and while observing the liquid, he would “receive” visions of the future. This is how he foresaw many future events that were proven to be accurate. Nostradamus wrote his first book, “Les Propheties” in 1555, and publishing companies still print copies of the book today. Nostradamus has been credited with predicting everything from the Great Chicago Fire of 1871 and the rise of Hitler in the 1930’s. He also predicted Sept. 11, 2001, when he wrote: Earthshaking fire from the center of the Earth Will cause tremors around the New City. Two great rocks will war for a long time; Then Arethusa will redden a new river. Nostradamus lived in an extremely difficult era during which seeing into the future was considered witchcraft. So, to hide his “skill” or ability to see into the future, he masked his visions in quatrains—four-line prose poems, in which he hid the future intricately so that you wouldn’t really understand the quatrain until after the event had occurred. But what does Nostradamus say about 2019? According to these reports, Nostradamus saw terrible events happening in 2019 (Although similar things were said about 2017). 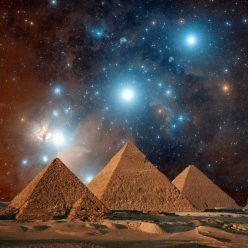 The French prophet allegedly said how the dead will rise from the graves, and Earth will face changes between nations. Several natural disasters will shake the world like never before. The most terrifying predictions can be found in his book Les Propheties in a quatrain that allegedly describes the coming of the third world war. Nostradamus wrote how a “Big war” would start: “the big war will start in France and all Europe will be attacked, it will be long and terrifying for everyone…and then finally there will be peace but only a few will enjoy it”. Nostradamus seemed to have predicted several natural disasters and he predicted the eruption of Mount Vesuvius. He said that the earth will shake every five minutes and how the natural disaster would kill up to 160,000 people. 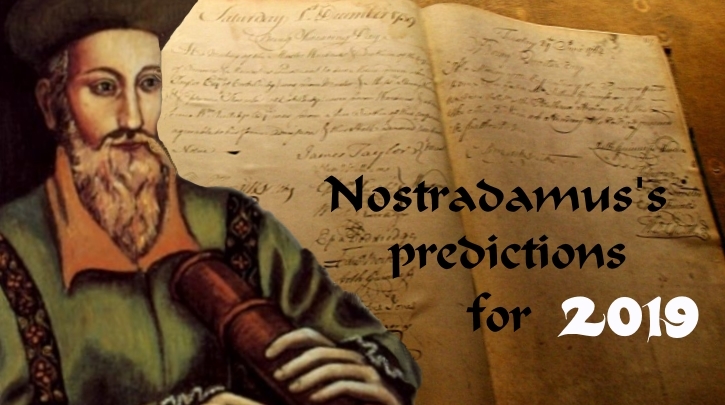 And while many consider the predictions made by Nostradamus as coincidental or the result of misinterpretations or bad translations, millions of people around the globe firmly believe Nostradamus was one of the greatest and most accurate prophets in history. 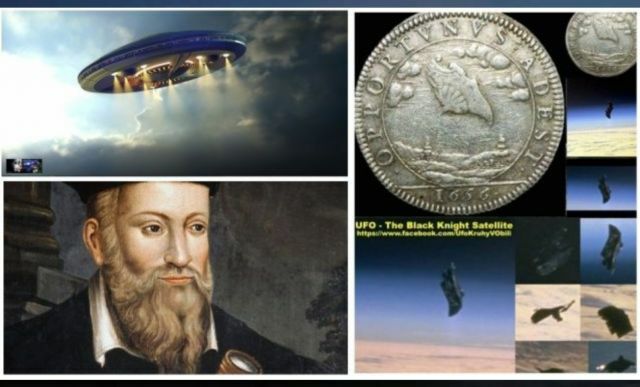 Nostradamus is quoted as saying mankind would discover a machine in space in 2017-2019! 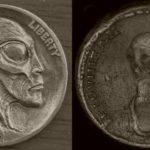 Does not surprise me that Tesla knew of communications from extra-terrestrials, and many thought him to be a lunatic. When in fact he invented many things the government has kept from the public. Then in March of 1960, another mysterious satellite was discovered orbiting earth. This mystery satellite was in polar orbit feat that neither the US nor Russian were capable of at that time. The soviet satellites were inclined at 65 degree angle with the equator. 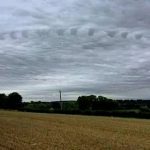 THE OBJECT,’ JUDSON SAID, ‘DOESN’T EVEN HAVE THE DECENCY TO MAINTAIN A REGULAR SCHEDULE,LIKE ANY OTHER HEAVENLY OR MAN MADE OBJECT HE’S EVER SEEN.’ ‘WE DON’T KNOW WHEN TO WATCH FOR IT.’ he says.” It appears some nights, and some nights it doesn’t. 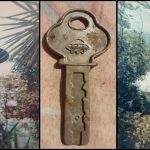 Is it possible that this is the same signal and object that both Tesla and Macroni intercepted? According to the source,in 2019, this probe/UFO will makes its path back into Earth’s orbit. Orbiting every 15-20 years. Also it took a corrective course to avoid collision with another asteroid. 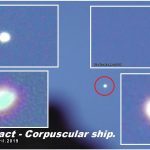 Previous Previous post: New Videos: UFO – Corpuscular ship. The ship is constructed from the light. 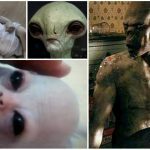 It comes from the 5. dimension. Next Next post: VIDEO: They videotape the opening of the interdimensional Portal at the top of Mount Kailash.